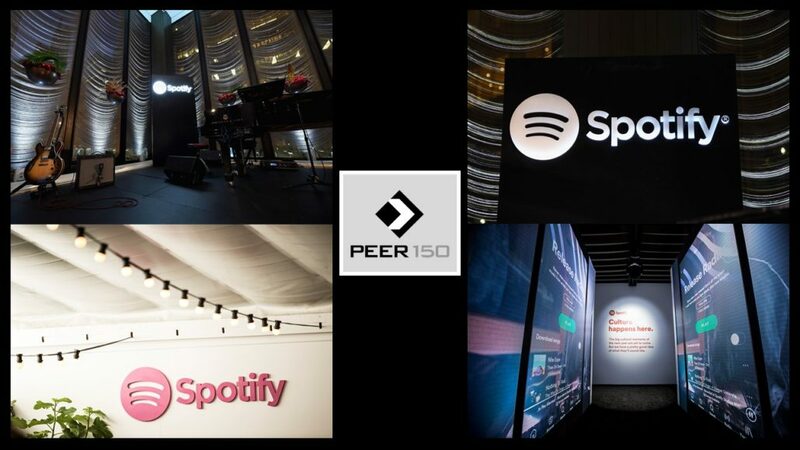 The New York members of The PEER 150 are honored to host an evening of networking and content at Spotify Headquarters. Attendance is open to senior marketing executives approved by our PEER 150 team. We look forward to seeing you on Tuesday, May 8th! Join Mayur Gupta, Global VP of Growth & Marketing at Spotify as he discusses how marketing in today’s complex and diverse world is no longer about great advertising and witty creative. It is about values and culture that fundamentally connects with people as the real protagonists. Brands need to be a platform for unification within this diversity. They need to be authentic while putting the human at the center of their ecosystem; they need to be consumer obsessed. This needs the convergence of art and science, the convergence of data, insights and creative storytelling. This is an underlying mindset shift within marketing towards being data-driven to deliver personalized experiences and staying relevant while driving measurable growth. Mayur Gupta is the Global VP for Growth & Marketing at Spotify. He is responsible for driving growth for Spotify across MAU, DAU & paid subscriptions by leveraging data driven always-on experiences; testing new business models, partnerships and engagement strategies along with establishing marketing capabilities for fans, artists and B2B brand partners. 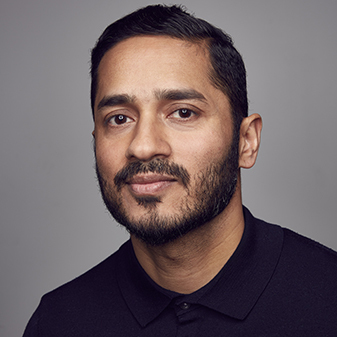 He is driving the vision and strategy to establish a growth machinery and a connected marketing ecosystem for Spotify’s 2 sided marketplace that connects the right artist with the right fan through programmatic discovery and accessibility. His organization delivers always-on, data driven, and contextual experiences for both fans and artists; inspiring behavioral change and ongoing participation; maximizing top line growth with targeted acquisition and longitudinal user engagement through the journey that drives lifetime value. The growth mission also includes establishing the MarTech/AdTech and Ad Effectiveness & Measurement capabilities needed to grow Spotify’s ad revenue from the free tier. His charter includes Global Always-On Planning & Framework, Audience Research, Insights and Segmentation, CRM and LTV Management, Ad Effectiveness and Marketing Analytics, Marketing Technologies & Platforms, Creator Marketing, Product Marketing, Marketing Ops and an underlying Growth and Innovation function for the enterprise. Mayur also sits on the Board Of Directors for DentaQuest and D’Addario guiding the C-Suite in their respective digital transformation and growth journeys. Prior to Spotify, he was the Chief Marketing Officer at Healthgrades responsible for Marketing, OmniChannel Solutions business and Digital Capabilities. He successfully drove the digital transformation of the company while being responsible for the vision, strategy and activation of one of the largest digital marketplace platforms in healthcare; delivering seamless OmniChannel Experiences and always-on patient engagement that drive better health outcomes and maximizes lifetime value for hospitals. Mayur was the first ever Global Chief Marketing Technologist at Kimberly Clark, one of the largest global consumer packaged goods companies. He successfully established a Global Marketing Technology organization at KC with responsibility for building a global, connected, digital ecosystem across Media, Content, Data and Commerce organizations. His oversight included everything from big data and analytics, media and content, eCommerce, CRM, mobile, social as well as driving innovation through a network of start ups, incubators and VCs. The goal: to ultimately CHANGE CONSUMER BEHAVIORS and drive top line growth for the company through seamless consumer experiences. In 2014, Mayur was recognized as one of the “40 under 40” leading marketers in the industry by BrandInnovators and also received the CMO Programmatic Award by the CMOClub. Harvard Business Review (HBR) and the Economist profiled him as the model Chief Marketing Technologist in 2014. He sits on various Advisory Boards including the IBM’s CMO Council, BrandInnovators and Global MarTech Conferences besides being a mentor for a number of start-ups. He frequently writes on the convergence of Marketing, Technology, Creative and StoryTelling to fundamentally change consumer behaviors and has been a big proponent of putting the HUMAN at the CENTER. A self starter, digital evangelist, marketing technologist & innovation thought leader, Mayur brings more than 15 years of experience in leading digital transformation on both the agency side and the Fortune 100s. Adept at influencing Senior Executives, company Presidents and the C-Suite in high stakes decision making, negotiations, strategic partnerships & public speaking and writing. Mayur spent almost 13 years @SapientNitro leading digital marketing engagements for global brands like Coca Cola, Unilever, ESPN XGames, Mars, Citibank, Chrysler, FIAT Abarth, Motorola, Burger King & many others; he lead the largest production studio for the company for a number of years before becoming the marketing technology thought leader for one of the North American business units. He is a Buddhist and lives in Chicago with his wife and two beautiful daughters who help do his Human Revolution each day . If he were not here, he would be playing Cricket for India 🙂 or Tennis for the USA. Spotify prides itself on being a premium environment that celebrates culture and creativity by bringing artists, fans, and brands together. Over 140 million people in 60 markets across the globe connect and stream on Spotify. The average cross-platform Spotify user spends 2+ hours listening throughout their day, while working, studying, driving, exercising, relaxing at home and more. To learn more, visit spotify.com/brands or follow us on Twitter, Instagram, Facebook, and LinkedIn.